Whether it be a refurbishment project or new build, the quality of internal finishes can create a unique look in a home, providing all important added value. 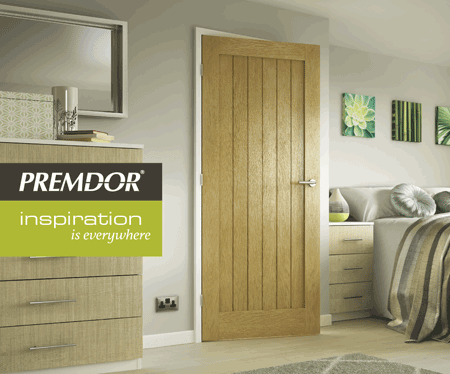 When considering the aesthetics or practicalities of internal door finishes, Premdor, one of Britain’s leading door manufacturers has made door selection much easier with the launch of the new design led Inspiration Guide. From Specifier, House Developer or home-owner, the 60-page full colour guide showcases all that is best from the Premdor door ranges, concentrating upon visual suggestions without the distraction of sizing detail or technical information. Including some new photography, the guide covers both traditional and contemporary designs including the new highly regarded Premium Door Collection, Premdor’s unique moulded door options, Veneers, Laminates, Foil wrapped and beautiful natural timber finishes in both glazed and unglazed styles. Complete with Veneer Match (true veneer consistency between every door), SpeedRobe sliding wardrobe systems, Speedset Plus adjustable doorsets and SoundSecure apartment doorsets, the new Inspiration Guide is available free by calling 0844 209 0008 or download an Inspiration Guide today.